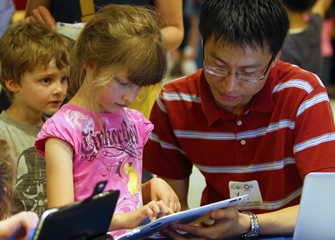 More than 250 interactive science, technology, energy and health exhibits await students of all ages. We’re experts at making sure that bringing your group to the Museum is smooth sailing all the way. Discounted admission for groups of 20 or more! Your students become scientists during our ScienceWorks Labs. All programs align with National Science Education Standards, Next Generation Science Standards, Michigan Grade Level Content Expectations and Common Core State Standards. Labs are available year-round for preschool to middle school students and are led by an instructor. It's Science on Wheels: We bring the Museum to you! 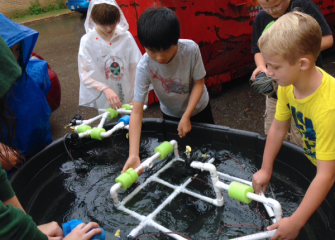 We offer fun, inquiry-based programs for the students in your classroom, library, festival or youth center! All programs address objectives outlined in the Michigan Grade Level Content Expectations and include pre- and post-visit activities. Our educators use videoconferencing to engage your students in a dynamic, hands-on learning experience. Program kits sent to classroom teachers include nearly everything you need for experiments. Kits are yours to keep! All programs address National Science Education Standards and align with Michigan Grade Level Content Expectations. Join us for fast-paced, hands-on teacher workshops that provide elementary and middle school educators with new hands-on tools for incorporating interactive science and math activities into your classroom. 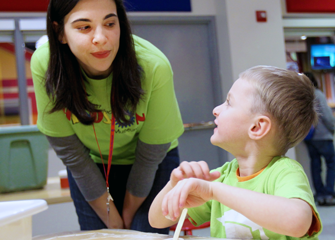 Join us for professional development opportunities both at the museum and at your school. The best place for Scouts to explore STEAM! 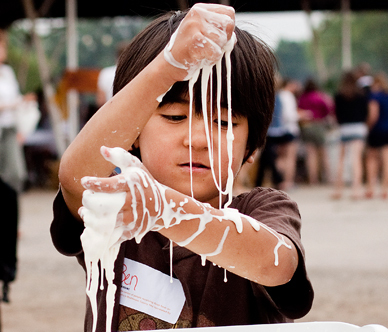 Through the Unity in Learning partnership, Ann Arbor Hands-On Museum, Leslie Science & Nature Center, and Yankee Air Museum now offer families incredible day camps at two fantastic locations in Ann Arbor and Belleville. What do you get when you mix one part science, one part fun, and one part celebration? A birthday party at the Museum! 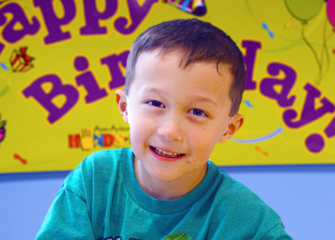 Experience a birthday full of discovery by exploring more than 250 exhibits and experimenting with a hands-on activity. Celebrate in a unique and interactive environment to make your special day really special! Want to dive deeply into specific topics? Join us for an Evening Workshop! Explore a variety of science concepts through hands-on activities, interactive demos, and experiments in a small group setting. 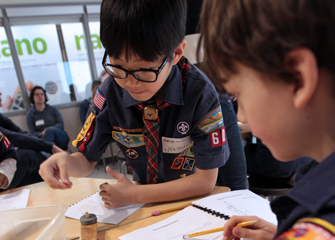 Topics vary from stop-motion animation to computer programming to engineering – there’s sure to be something that piques your interest! Have you ever wondered how many footsteps tall you are? Using the story Inch by Inch by Leo Lionni, your preschoolers will explore measurement using silly objects. We’ll discover how big, long, short, and small objects in the world around us are. Each 30-minute workshop will include an interactive story-time, an explorative hands-on activity, and group reflection time. Still not sure we have the experience you want? 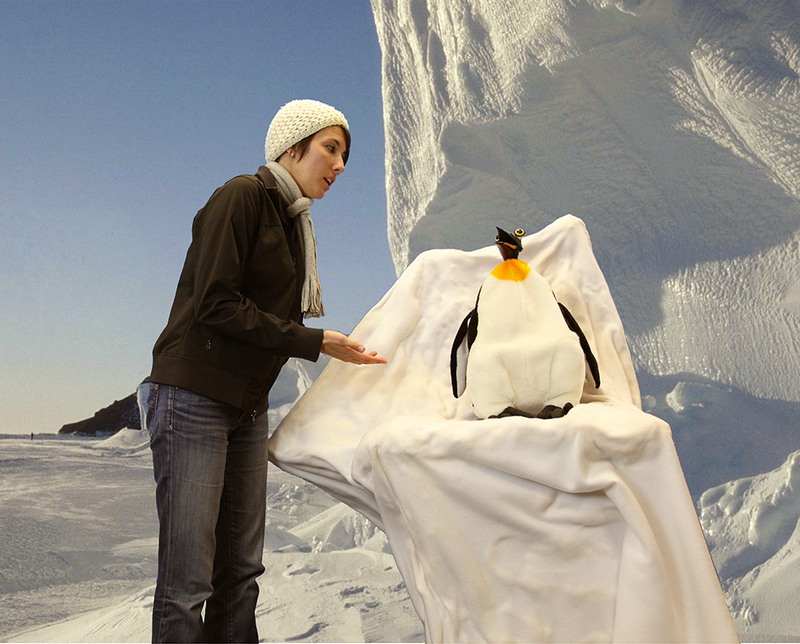 Visit unityinlearning.org to open a gateway to hands-on discovery, exploration of the natural world, and experiences that take flight. Through the Unity in Learning partnership with the Ann Arbor Hands-On Museum, Leslie Science and Nature Center, and Yankee Air Museum we provide over 100 different programs at our facilities, on site at your location, or through interactive video conferencing.